Happy October, everyone! I hope you’re ready for plenty of classic horror movies because TCM is going all out for Halloween this year. 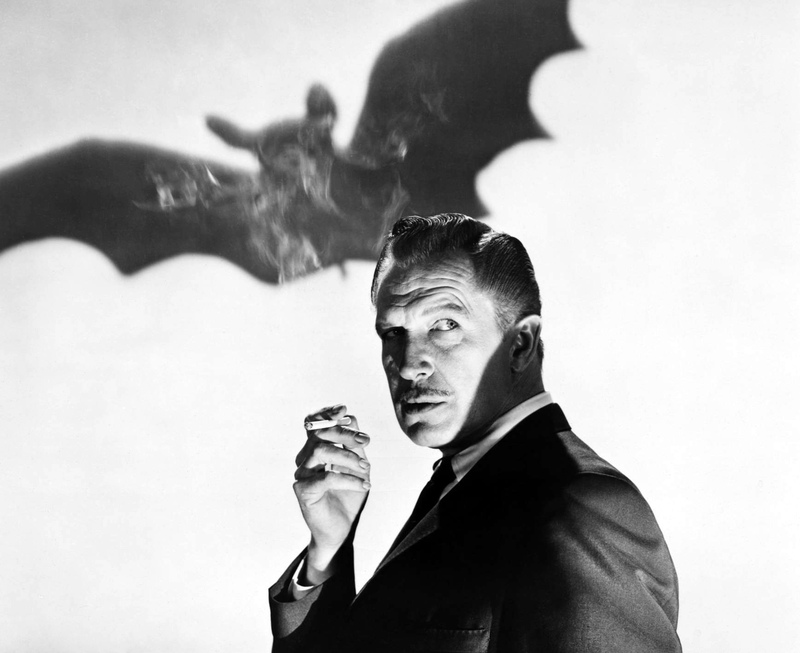 Not only will Friday Night Spotlight be all about classic horror movies, we also get Vincent Price as October’s Star of the Month. Even though not every Vincent Price night focuses on horror movies, there are a couple that do, including the most important night — Halloween. TCM’s Story of Film series will continue this month on Monday and Tuesday nights. I love having the chance to see so many of the movies discussed in the documentary so I’m really looking forward to see more from this series. 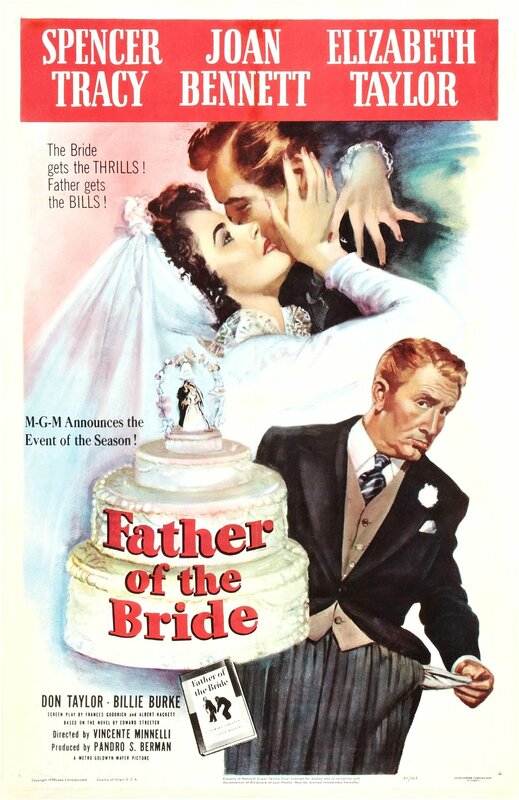 Upon getting the news that their daughter Kay (Elizabeth Taylor) is getting married to her boyfriend Buckley (Don Taylor), Stanley and Ellie Banks (Spencer Tracy and Joan Bennett) are immediately thrown into the whirlwind of planning a wedding. While Ellie is largely enthusiastic about Kay’s impending nuptials, Stanley isn’t as easygoing about the whole thing. Of course, there wouldn’t be much of a movie if the wedding plans went smoothly. First Stanley worries that Kay might be marrying a good-for-nothing lowlife, but when those fears are put to rest, every new event brings on a new source of anxiety for Stanley. First Stanley and Ellie go to meet Buckley’s parents and Stanley accidentally drinks too much. Then during the engagement party, few guests are interested in the large batch of martinis Stanley has made for the occasion so he spends the entire party in the kitchen playing bartender. At first, Kay only wants a small, simple wedding. But since Ellie has always regretted not having a large wedding of her own, she wants to give Kay the wedding she never had. Stanley puts his foot down at a maximum of 150 guests, but that number quickly grows to 250. The whole wedding planning process is enough to make Stanley consider paying Kay to just elope already. And when the RSVP cards are rolling in, Kay wants to call the whole wedding off after getting into a fight with Buckley. But they quickly work things out and the wedding goes on as planned. When all is said and done, Stanley decides all the stress was worth is. Father of the Bride is completely charming and an absolute delight. This is a movie that just gets it exactly right in every way. Spencer Tracy’s performance is nothing less than a joy to watch. And when you take his performance and combine it with Joan Bennett, direction from Vincente Minnelli, and a wonderful screenplay, you have a real winner of a movie. It’s very funny, warm, and sentimental without being sappy. Plus, who could ever forget that shot when we first see Elizabeth Taylor, looking positively radiant, in her wedding gown? Simply put, Father of the Bride is a real must-see movie. Broadway producers Tony Naylor (Howard Keel), Al Marsh (Red Skelton), and Jerry Ralby (Gower Champion) have an idea for a new show, but don’t even have enough start-up money for investors to be interested. But then Al gets word that his aunt Roberta has died and left him her share of her high-end dress shop in Paris. Thinking he can just sell off his share of the store and put the money into the show, the guys borrow some airfare money from Tony’s showgirl girlfriend Bubbles (Ann Miller) and head off to Paris. But when they get there, they find out it won’t be as simple as that. Roberta’s adopted nieces Stephanie (Kathryn Grayson) and Clarisse (Marge Champion) manage the store and they explain that the shop is deeply in debt so it can’t be sold right now. Determined to turn the shop around so it can be sold, Tony comes up with the idea of bringing Stephanie’s designs up-to-date and putting on a big fashion show that’s worthy of being on Broadway. Clarisse and Stephanie are a little reluctant about this idea at first, but change their mind when Tony steps in and helps get their creditors behind the idea, too. Everyone gets to work putting the show together and sure enough some romances begin to grow. Jerry and Clarisse fall in love, but Tony and Al both begin to fall for Stephanie (remember, Stephanie was adopted). But then Tony gets a surprise visit from Bubbles, who has gotten word about the show and wants to be part of it. Stephanie is heartbroken when she shows up, but Bubbles can sense that there’s something between Tony and Stephanie. Al, on the other hand, is happy to see Bubbles since that means he gets a chance to have Stephanie to himself. When Tony takes Bubbles out one night, Al brings Stephanie to the same place, and they’re soon joined by Jerry and Clarisse and model Zsa Zsa (Zsa Zsa Gabor) and her boyfriend Max. They all spend the night drinking champagne and having a great time. Well, everyone except for Bubbles, who doesn’t drink and spends the night being jealous of the attention Tony keeps giving to Stephanie. When the party is over, Bubbles takes Al home in a taxi and when Al starts going on about how much he adores her, she’s flattered, but then realizes he thinks he’s talking to Stephanie instead. Off in the park, Tony has taken Stephanie for a ride in a horse-drawn carriage and they kiss for the first time. Stephanie doesn’t remember it when she wakes up the next day, but when Al comes to her to talk about what he said in the taxi, she takes the opportunity to let him down nicely. However, when Tony talks to her about the night before, all their feelings are still there. Later, Max throws a party during which Al and Bubbles have a chance to bond over being jilted lovers. Al also has a chance to do an act for all the guests, which impresses Max, who turns out to be a Broadway producer. Tony, Al, and Jerry start negotiations for Max to finance their new show and Tony accepts a deal against Al and Jerry’s wishes. Tony has a hard time passing up the opportunity, but Al and Jerry think they need to stay in Paris and finish the fashion show. Tony goes off to New York with Max, leaving Al and Jerry there to take care of the fashion show. Not only has Tony alienated Al and Jerry, Stephanie is also devastated because she thinks that he only cares about himself. But Tony, Al, and Jerry all realize that they’re only successful as a team and Max lets Tony go back to Paris. He makes it back just in time for the show and apologizes for betraying his friends. They get their act together and put on the best fashion show to ever hit Paris. I didn’t have particularly high hopes for Lovely to Look at since every source I checked gave it a pretty mediocre rating, but I was pleasantly surprised by it. 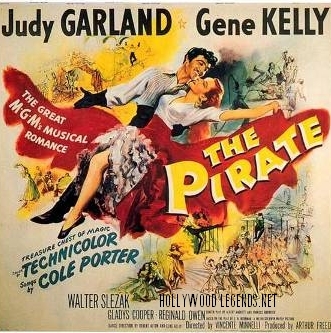 It’s certainly not one of the greatest musicals to come out of MGM, but it is bright, colorful, splashy fun. 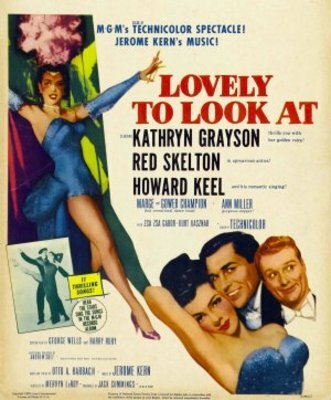 It’s got some really lovely songs and beautiful dance scenes, particularly the ones with Marge and Gower Champion. Kathryn Grayson’s rendition of Smoke Gets in Your Eyes is very much worth hearing. 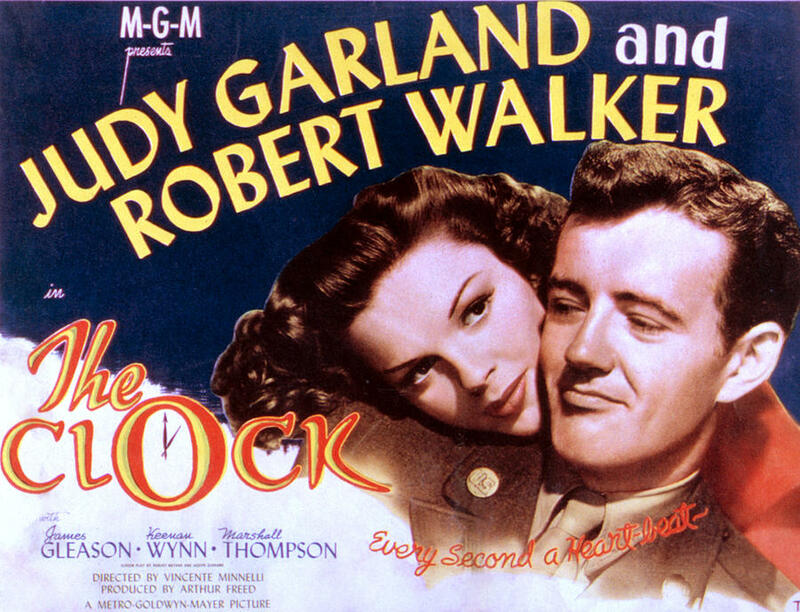 I liked the whole cast; Ann Miller was totally on top of her game. This was Zsa Zsa Gabor’s film debut. She doesn’t have a very big part, but she does just fine in bringing the daffy, over-the-top quality her character needed. 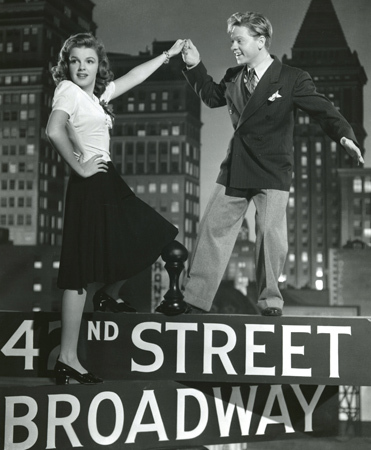 I definitely can’t neglect to mention the big fashion show scene, which Vincente Minnelli was brought in to direct. It’s like the fashion show scene from The Women, only bigger, with more singing, and it actually has something to do with the movie. Lovely to Look At was the last film that Adrian designed costumes for, so I thought it was fitting that he went out with such a big showcase of his work. Overall, I’d say it’s worth at least giving this movie a chance. A lot of places gave it two out of four stars, but I would have given it three.